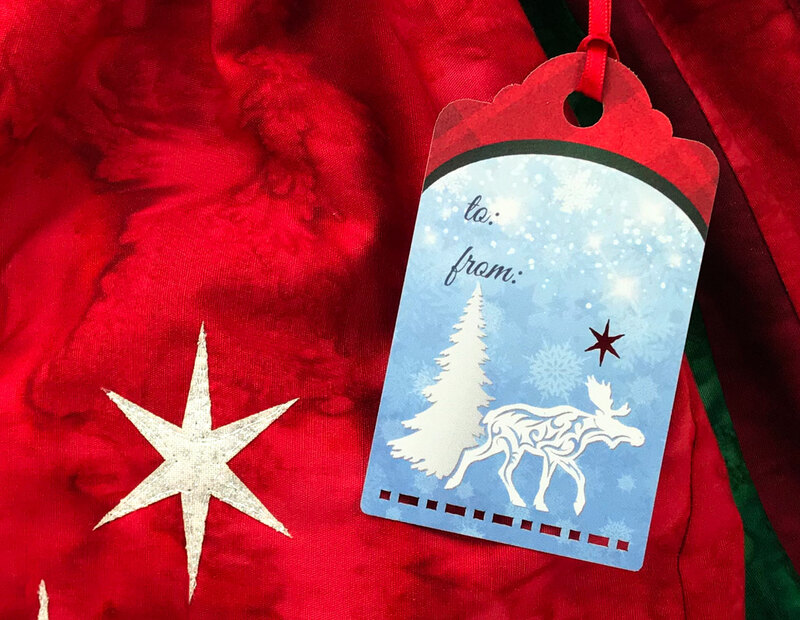 Arctic Holiday Gift Tags are the latest addition to my holiday collection. I thought it would be fun to have some northern themed tags to coordinate with the collection. Laser cutting paper started as an experiment that grew into an actual product. I wasn’t sure I could make my idea turn out like my original vision, but I just had to give it a go. Let me tell you, there were many failures before the success, and I’m pleased with the final result. 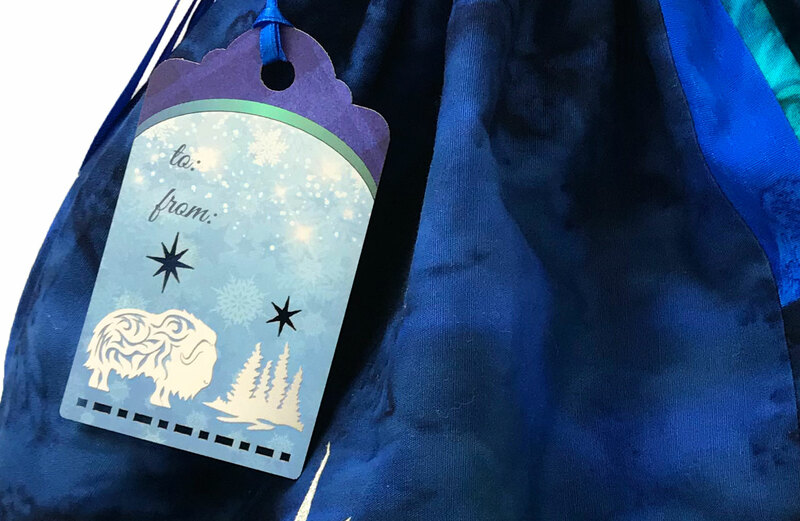 If you read my story about fabric gift bags, you won’t be surprised to learn that I also reuse my tags from year to year. That inspired me to design a unique gift tag that I would use for years to come. I’ve provided you with both a red and a blue option so you can match it to the colorway you prefer. 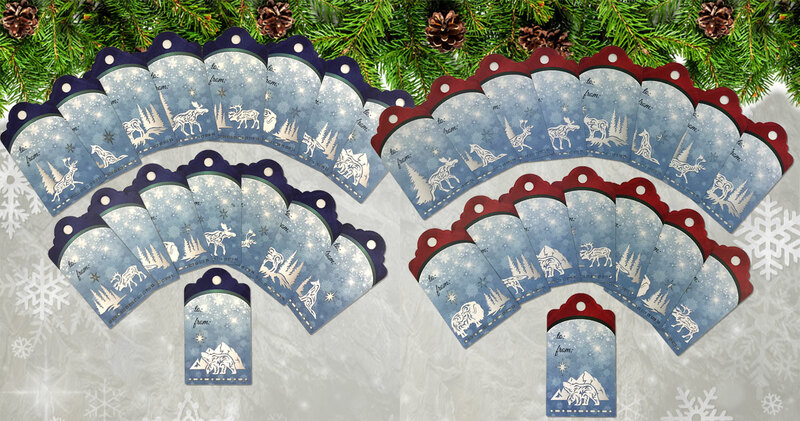 The Arctic Holiday Gift Tag Set includes 16 laser gift tags, two each of 8 designs with intricate cutwork stars and borders. They measure 2″ x 3″ and made from a heavyweight coverstock paper. 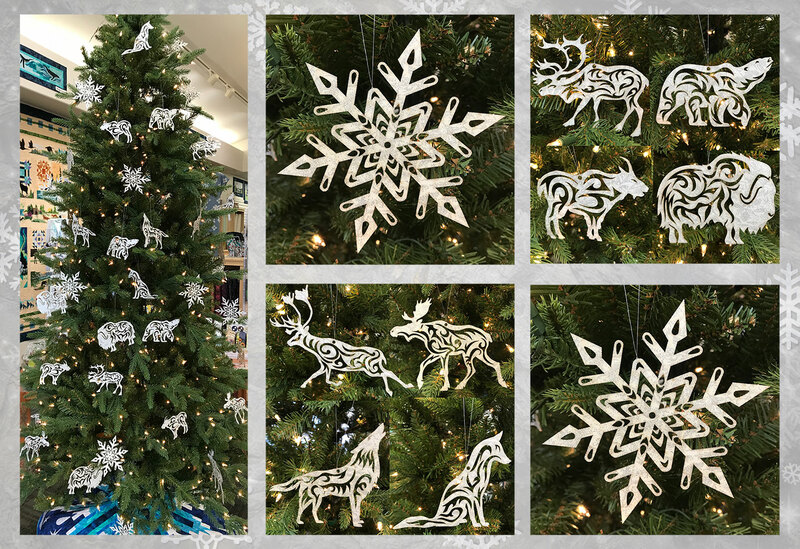 These gift tags are available for ordering just in time for the holiday season in red or blue sets featuring caribou, fox, moose, mountain goat, musk ox, polar bear, reindeer, and wolf. 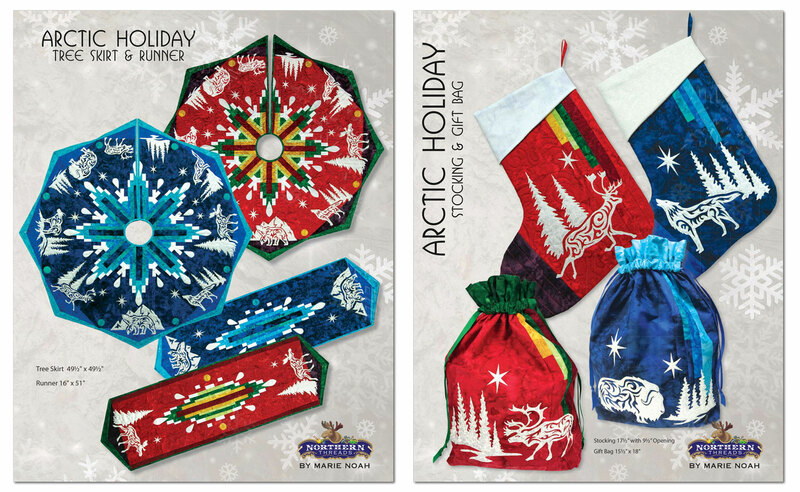 If you want to know more about the Arctic Holiday patterns, kits, applique sets and ornaments you can get the full story here. I’ve made it easy for you to start your unique holiday traditions. 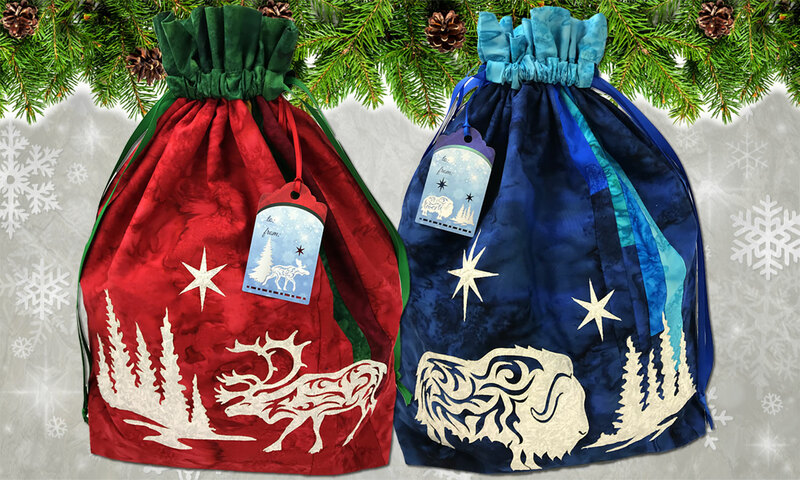 Ornament sets packaged in sets of 4 ready to embellish packages, garland or tree.